Originally from Seattle, Paul attended Pomona College for undergrad, majoring in Biology. He then completed his graduate work in Biology at MIT in the laboratory of Dr. Laurie Boyer, where he studied the role of the histone variant H2A.Z in regulating gene expression networks and early differentiation in mouse embryonic stem cells. 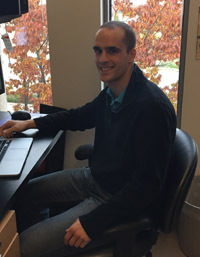 Paul is excited to be back in Seattle in the Murry lab for his postdoctoral work to continue to explore his interest in how chromatin regulation influences cell fate decisions, and is investigating the role of higher order chromatin structures during cardiac maturation and disease models.